Looking to beef up your negative keywords and reduce your spend on irrelevant search queries? Let’s look at a few quick methods to get this done efficiently without any fancy 3rd party tools. The most popular way to understand what your users are searching for is to look at the search terms report. 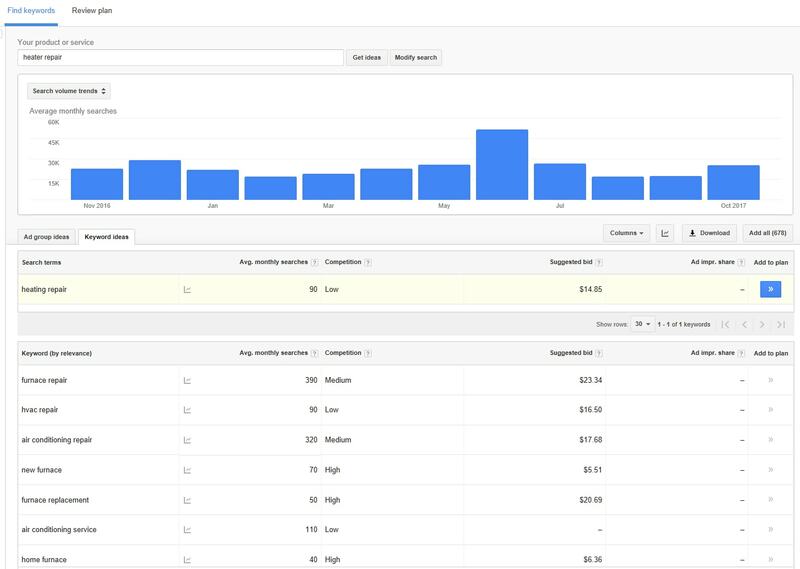 These reports will show you what users have actually entered in the search field before clicking your ad. This is great for building a robust negative keyword list and for finding great opportunities you weren’t aware of. In the new AdWords interface, navigate to a specific campaign or ad group, click Keywords in the left navigation and then select Search Terms along the top. In the new AdWords interface, click Keywords on the left and then select Search Terms along the top. Search terms reveal the user’s intent. For instance, if someone is searching for “best marketing agency near me” , they are probably looking for a marketing agency nearby and soon. But if someone is searching for “best marketing ideas” they are probably looking to for inspiration or ideas. If your keyword is “best marketing,” your ad could appear to both of these people. A nearby marketing agency would probably want the first person and a marketing school might want the second person. This is where negative keywords come into play. While all keywords inform AdWords when you want your ads to appear, Negative keywords do the opposite and inform AdWords when not to show your ads. In my previous example, a marketing agency could add “best marketing ideas” as an exact match negative keyword so that their ad would not appear in the search results from that search query. The agency will probably also notice over time that many queries with the word “ideas” aren’t very relevant, and eventually will add “ingredients” as a negative keyword to eliminate any query containing that word. Negative keywords, like regular search keywords, can be broad, phrase, and exact match. AdWords parses only the first 10 words of a query. So if your negative keyword appears past the first 10 words, your ad could still show in the search results. For instance, our marketing agency could still have an ad show when the search query was “where in Berkeley can I find a marketing agency with the best marketing ideas.” Once voice search becomes more popular I believe this limitation will be lifted to some extent. In short, advertisers often pay for clicks on unrelated queries. Especially in industries with high click costs, even a qualified click can hurt profitability. Manually. Create a list of about 10 keywords that you are currently advertising on, or are considering. Search these terms in Google and observe the results you’re seeing in both paid and organic results. Are some results unrelated? If so, ask yourself why? The first ad is from an auto shop. A residential heat and air contractor doesn’t fix heaters in cars or trucks. So, “cars,” “trucks,” and related terms would be good negative keywords. The third ad is for a plumber and a couple of the organic listings below the map are for water heater repair. Our example contractor does not sell or repair water heaters. Therefor “water heater” is a good negative keyword, too. The second organic result below the map addresses baseboard heaters, wall heaters, and radiant floor heating systems. If our contractor focuses on large central heating systems and forced-air units, “baseboard heaters,” “wall heaters,” and “radiant floor heating systems” would also be good negative keywords. After going through this exercise with 5-10 keywords, you should have some good ideas. Keyword research. There are many keyword research tools, such as SEMrush and the Keyword Planner in AdWords. The idea is to see what other keywords are not literally related, judge their relevance, and add negative keywords before they cost anything. Every AdWords advertiser has access to the Google Keyword Planner in AdWords. Find it in the new interface by clicking the wrench icon in the upper right and then select Keyword Planner. To use the Keyword Planner, type in your keyword to see a list of keyword suggestions, along with estimated competition from other advertisers and suggested bid amounts. To use the Keyword Planner, type a keyword (“heater repair,” in this example) to see a list of keyword suggestions, along with estimated competition from other advertisers and suggested bid amounts. For this example, I limited my search in the Keyword Planner to results in Berkeley California. The numbers will be different depending on your location. The screenshot above doesn’t show it, but there are over 1000 results — so you have lots of potential here. Negative keywords are a fantastic money-saving tool for AdWords advertisers. However, you don’t have to rely on search term reports to find those keywords. Do some research on your own, to weed out money-wasters before they cost you.